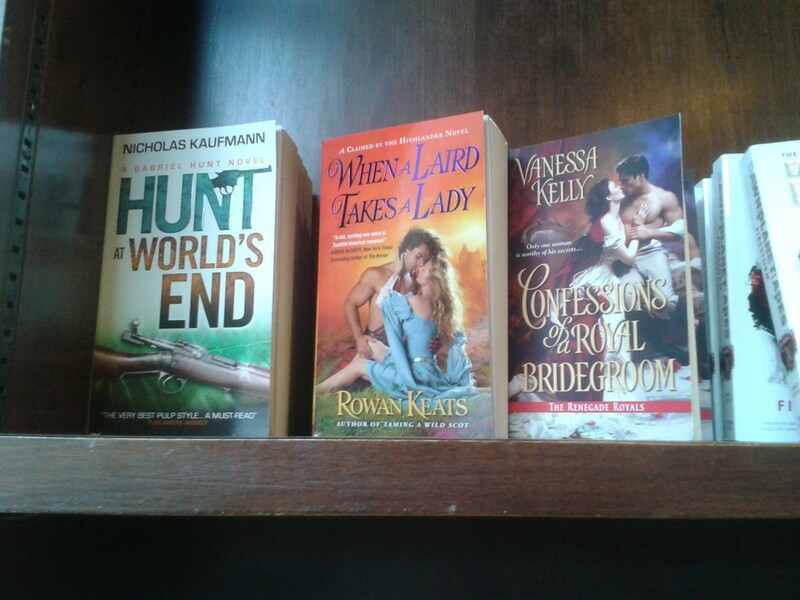 Spotted in the New Fiction section upstairs at the Barnes & Noble on 46th Street and Fifth Avenue in NYC. Their stock is now signed, as well. Go get ’em before they disappear! In this short, fast-paced, post-CHIMERA adventure, Jim Chapel is on a dangerous mission to stop a Russian arms dealer. Wellington’s sure hand with action scenes is complemented by some clever nods to the Greek myth of Theseus. However, at such a short length, this novella can’t go as in-depth as a full-length novel could have, which unfortunately leaves some characters and events feeling short-changed. Overall, MINOTAUR is an enjoyable side adventure that fans of Jim Chapel won’t want to miss. 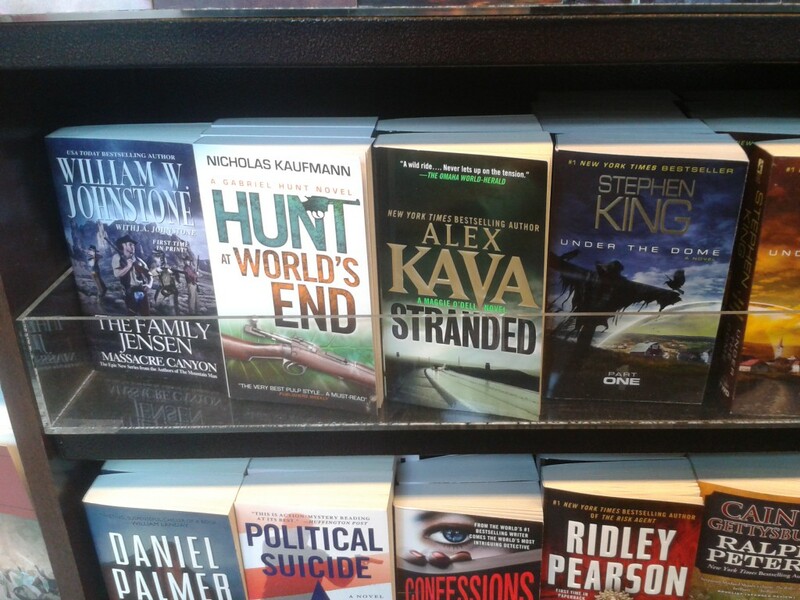 This picture was taken at NYC’s Union Square Barnes & Noble yesterday, which was the official pub date of Titan’s rerelease of Hunt at World’s End. I found these copies in the New Fiction section on the first floor, and now they’re all signed by yours truly. As you can see, Titan’s editions are credited to the authors who wrote them, not to the house name Gabriel Hunt. Needless to say, I quite like that. Interesting trivia note: Hunt at World’s End was originally going to be called When a Laird Takes a Lady. Phew! Awkwardness avoided! Coreena Hessen of San Diego! Congratulations, Coreena! You can expect your signed copy of the book to arrive in the mail next week! Today also happens to be the official release day for Hunt at World’s End. For those of you who didn’t win the giveaway, be sure to pick up your copy at your favorite local bookstore!